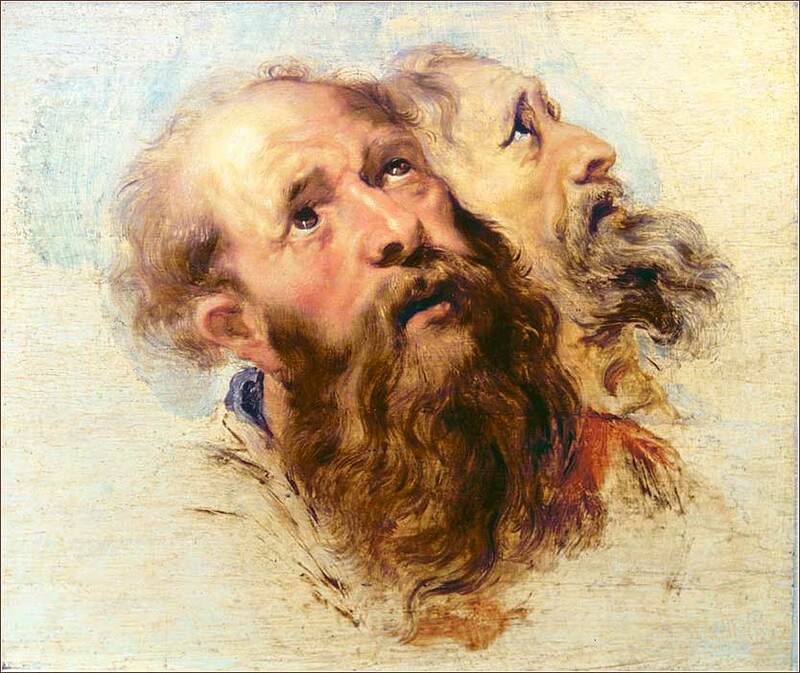 Two Apostles by Peter Paul Rubens, ca. 1611. 186 people in our community are currently praying with you. Thank You dear Lord, for protecting and preserving me during the night and for giving me this new day. Good Morning Heavenly Father, and thank You for the glory of the sun. And thank You for the health I have to get my duty done. I shall devote the hours of this golden day to You, by honoring Your Holy Name in everything I do. I will pursue my daily art without complaint or fear and spend my every effort to be friendly and sincere. I know there have been many days that I have whiled away. But this is one that I will try, to make Your special day. And so once more, Good Morning Heavenly Father. And please depend on me because I want to honor You for all eternity. Lord Christ, unto whom every life is precious: Your eye is on the littlest sparrow, and I know you watch over me and all my fellow beings, hoping at every turn that we may be free from the price of sin. I pray today for all those who suffer from darkness of mind. Be with them, I pray, in their torment; comfort them and their friends and families. And if it be your will, free them from the demons of the mind, that we understand so little about. Bless the doctors and scientists who work to relieve mental illness and the people who care for the ill, and let your Spirit guide them to the alleviation of human suffering. 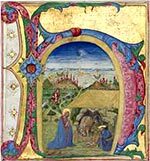 And where a person cannot be healed, bless and keep his soul, I pray, that his lost mind may not be held against the salvation of his soul, and the eventual perfection he might find by your grace. Oh Holy Jesus, look down upon your lost sheep with mercy, I pray. Oh God who has made me, oh God who keeps me, oh God who will be my Lord through all eternity, shine down Your blessings and wisdom upon me like the sun upon a field; and may I keep You in the forefront of my every thought and deed, throughout this day, and evermore. 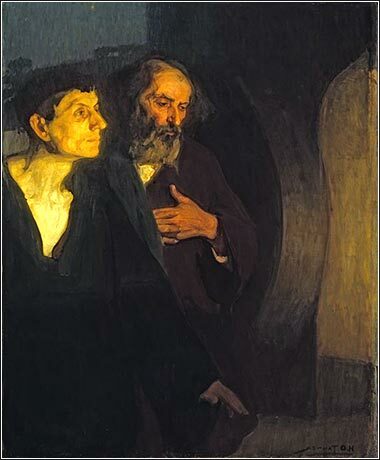 Two Disciples at the Tomb by Henry Ossawa Tanner, ca. 1906. It is hard to understand why Tanner is not more heralded. This character portrait of Peter and John is reminiscent of George Bellows, who was enormously popular in his day. 17-20 As for our separation from you — our brothers and sisters — we feel like orphans. Our hearts are with you, wherever we go. We long to see your faces, and nobody more than I myself, Paul. Time and again I have tried to get back to Thessalonica, but Satan hindered me. For what is our joy, what is our hope, what will be our crown at the coming of Christ, if not you? Our joy is you, and you are our glory. 17 And we, brothers, being orphaned from you for period of hour [g]Idiom, a short time., in face not in heart , exceedingly felt eager the face of you to see with great desire. 18 For we wanted to come to you, namely I Paul once and twice [h]Idiom, time and again. , but hindered us Satan. 19 For what is of us hope or joy or crown of pride or not indeed [i]Idiom, if not or other than. you before the lord of us Jesus at the of him coming? 20 For you are the glory of us and the joy. v.17 - [g] Idiom, a short time. v.18 - [h] Idiom, time and again. v. 19 - [i] Idiom, if not or other than. aving described the behavior of the Pauline group when they were in Thessalonica, and the superb response of the people there, Paul now reassures them that he has not lost interest in them. He misses them so much he feels “orphaned”, bolstering his constant use of “brothers and sisters” to address them. If Paul, then, genuinely and openly yearns to see them, why doesn't he just go to Thessalonica? Satan has hindered him. Paul is not making excuses. Satan has power on the earth and power over our bodies; he is “the ruler of this world” (e.g. John 14:30). Satan is the ultimate force behind the persecution and murder of innumerable apostles, disciples, and saints, and he torments Paul at every turn. Although Paul does not tell us exactly how he has been hindered, we have seen the Tempter acting time and again, trying to stop spread of the Gospel through the agency of sinful men. In the immediate context of today's Scripture, Paul had been run out of Thessalonica and fled to Berea (where he was warmly accepted); but his enemies in Thessalonica heard of it and took a posse to Berea to harm him, and he fled again, this time by ship to Athens (Acts 17:10-15). We might guess that these same men are the satanic agents who have kept him away from MacedoniaGreece was then two provinces, Macedonia to the north (where Thessalonica was located) and Achaia to the south (where Athens was located)..
Having assured the church that his absence from them was involuntary, Paul shares his joy at their own constancy and zeal. Spirit and emotion seem inseparable in Paul's mind. The Thessalonians are not simply his brothers and sisters, but also his pride and joy. Pride, like every human attribute, can be sinful, neutral, or godly. Pride is so often and so perniciously sinful, we forget that it might ever be a positive trait. But Paul takes pride in the Thessalonians, and pride before Christ, at that, pride in the glorification of God through the conversion of so many Thessalonians. ~ 1 John 2:15-17: Do not love the world or the things in the world. If anyone loves the world, the love of the Father is not in him. For all that is in the world—the desires of the flesh and the desires of the eyes and pride in possessions—is not from the Father but is from the world. And the world is passing away along with its desires, but whoever does the will of God abides forever.